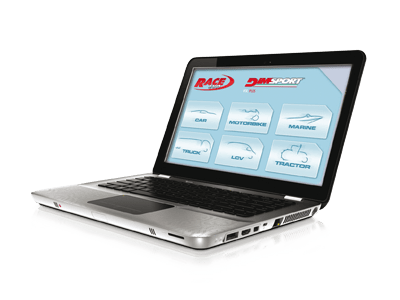 Race Evo is a range of remapping software developed by Dimsport allowing the optimization and the recalibration of the relevant engine working parameters stored into the ECU with simple and intuitive operations. 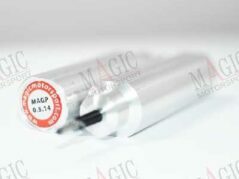 Developed during the years in parallel to the evolution of the electronics, it has been constantly improved to manage additional parameters. The internal structure of the software collects data and information organizing their visualization in a functional database, a USB logic key (dongle) protects the user against third party unauthorized access. Race Manager upgrade is an extension of the main software working on a master / slave system, allowing the user to manage and control a network of slave dealers provided with Flash Point and New Trasdata slave tools. When using their tools, the “slave” dealers can just read and program the files exchanged with their Manager, and cannot cooperate or exchange files with any other. A specific and well organized database allows to classify and store all the files sent to and received from each dealer. Race Evo STANDARD exploits setting files to display maps reporting the engine working parameters. The setting files are drivers specifically created by our technicians for Race Evo STANDARD and FULL: through the setting files, the software filters all data and identifies the maps which allow to optimize the power and torque delivery and customize the engine performance. Credits must be purchased in order to download setting files. The maps can be visualized in numeric table (Cartesian diagram), 2-D and 3-D charts. 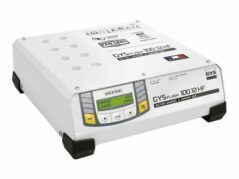 The user can operate on both the numeric tables and the graphic charts, dragging up or down the specific curves displayed to maximize the working precision. A helpful support for what concerns the analysis of the maps calibration is provided by the different colours displayed in the 3D chart. On the numeric tables, the modification can be set both numerically and in percentage; it is even available a function allowing interpolations of the values contained into the maps. If the checksum module is enabled, Race Evo performs automatic checksum recalculations. 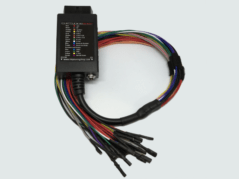 Race Evo PLUS enhances the technical features of the STANDARD version with additional functions allowing to freely manipulate the whole ECU content. 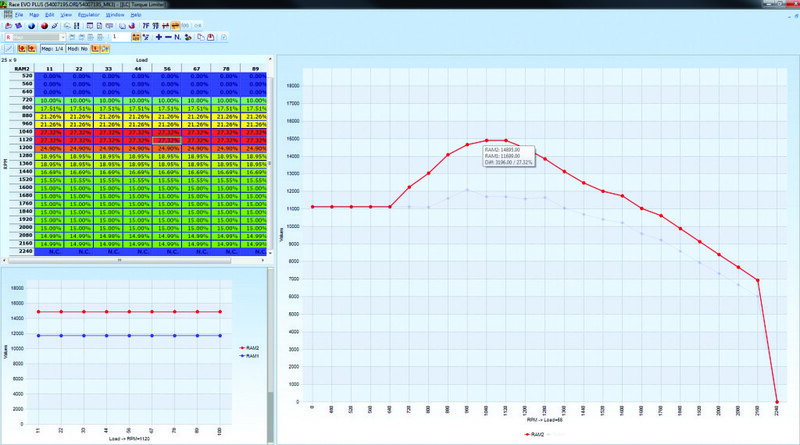 An advanced editing function – provided with specific filters conceived to facilitate the research of relevant data – supports the users in their tuning developments. These operations can be achieved both in decimal/hex numeric mode (identified as research in “Complete Eprom”) and in 2D/3D graphic mode (research in “Graphic Complete Eprom”), with possibility to compare parts of different files and/or search for specific functional factors. When operating with a setting file provided by Dimsport, this version of the software discloses a range of extra maps in addition to those made available through the Standard version and extends the list of parameters supported. A coloured mark and a specific label identify name and location of each of the maps identified by our technicians in both Complete Eprom and Graphic Complete Eprom. Furthermore, Race Evo PLUS is structured to allow enhancements of an existing setting file with additional maps labelled by the user, identified and converted with functional formulas to provide parameters “in clear”. The management of “User Maps”, as a matter of fact, allows to increase the versatility of the system for a custom-made tuning database. Specifically developed for experienced tuners, Race Evo PLUS – when upgraded to FULL version – boosts up the technical featured of the system with additional functions in order to maximize performances and versatility. Other than all what previously described, the FULL software version allows to create User Files by just adding maps to a ‘basic’ file. Additional features like “drag & drop” simplify and facilitate the tuning operations: should a file be read by New Genius, it would be identified and classified according to manufacturer, model and engine/system type, then saved through the corresponding available files.